And, just like any asset, in fact more so than most, significant expense and effort is put into installing, configuring, and maintaining “people assets." That’s because people assets are, well, people. They don’t run like machines, and therefore, are even less predictable than your other assets. Despite this fact, while other assets are consistently or constantly monitored to ensure they are performing at optimum levels, there is often no such monitoring for people assets. It’s true, your people assets can, just like any other, underperform, degrade, and fail. Unlike these other assets, where underperformance and impending failure can be monitored and predicted, in too many cases the only indication that your people assets are “failing” is incident reports after an outage, mishap, or injury. In this case, that last word is the most important. Because injury to your people assets is something no organization ever wants to happen. How Does a "People Asset" Failure Occur? The failure of a physical asset follows a pattern. Asset Performance Monitoring (APM) applications are based on the detection of asset failure patterns; employing either a statistical or heuristic approach to predict an outcome. Failure patterns can be simple – either the device is working or not. Failure patterns can also be very complex – involving multiple assets, and inter-related operating conditions and parameters. For people assets, there are also patterns to prevent failure. These come in the form of Standard Operating Procedures (SOPs). As we all know, these behavioral patterns involve specific steps to follow in order to ensure a safe outcome from all tasks, activities, and procedures. In the same way as failure patterns, SOPs can be simple, or complex. Either one person is safely following SOPs or not, or there are multiple people involved with various communication channels and inter-related tasks. If the SOP behavioral patterns are not adhered to risk, failure, and/or physical injury is introduced. So, despite the fact that people assets are the most important of all, the fact that they can fail, and the fact that their failure can result in physical injury, how many organizations are actually monitoring them to ensure they are performing as expected? The answer is not many. Have you considered monitoring your people assets? We’re not talking though in a CCTV surveillance or employee RFID tracking way, but in an “adherence-to-safe-operating-procedures” way. Essentially, monitoring them in the same way you monitor your industrial assets for decreasing performance and/or impending failure. You can really do this. With the Dexcent Asset Analytics System (DAAS) you can improve and upgrade your industrial asset monitoring and maintenance, and also monitor your people assets. DAAS is an advanced analytics tool for time series data that monitors and reports both procedural and process issues, as well as asset health conditions. That means, as with your equipment and operations, you can also effectively monitor your people assets in real time. 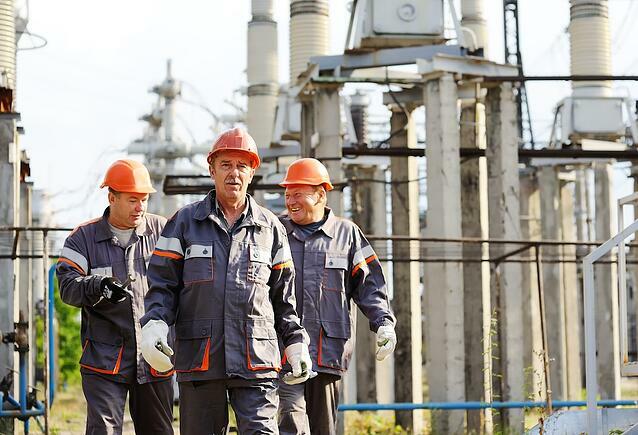 You won’t have to wait until monthly safety meetings to find out about performance or HSE impacting incidents reports. With SOP based monitoring in place, a major oil sands producer, monitoring a complex set of actions and outcomes, was able to reduce personal injury incidents by 85%. In the first month. How can this be done in my organization, you might ask? Because of DAAS’s ability to perform analyses in near real time and send notifications immediately, managers and/or the safety team members are able to find out about a variance from the SOP and address the issue, and the actions that contributed to it, while it was still fresh in everyone’s minds. Does this work in all cases? You’re probably familiar with the phrase “if you don’t measure it you can’t manage it.” In the majority of organizations, when it comes to monitoring people as assets, the data needed is actually already being captured. The challenge is that this data is not being measured or reported in a timely manner and therefore, a correctable degree of personal injury risk goes unmanaged. In the same way that DAAS’s advanced notifications of asset health issues allow organizations to plan or schedule maintenance rather than wait until a failure alarm occurs, the DAAS on-time notification of SOP variations allows for more comprehensive review and measurement of your people assets’ SOP performance data. For more information about how DAAS can work in your organization, contact Dexcent today.